All fires burn out at last. I hated school so intensely. It interfered with my freedom. I write more readily than speak and I am especially reluctant to talk about myself. All that had happened and would happen was meant to be. Everything happens as it is meant to be. “Yes, well... I suppose the man who owns nothing is free." Helge whispered aloud to the city of his dreams, whose streets his feet had never trod and whose buildings concealed not one familiar soul: 'Rome, Rome, eternal Rome.' And he grew shy before his own lonely being, and afraid, because he was deeply moved, although he knew that no one was there watching him. All the same, he turned around and hurried down toward the Spanish Steps. Many different thoughts rise up in the darkness - like those gossamer plants that grow in the lake, oddly bewitching and pretty as they bob and sway; but enticing and sinister, they exert a dark pull as long as they're growing in the living, trickling mire. And yet as long as they're nothing but slimey brown clumps when the children pull them in to the boat. So many strange thoughts, both terrifying and enticing, grow in the night. 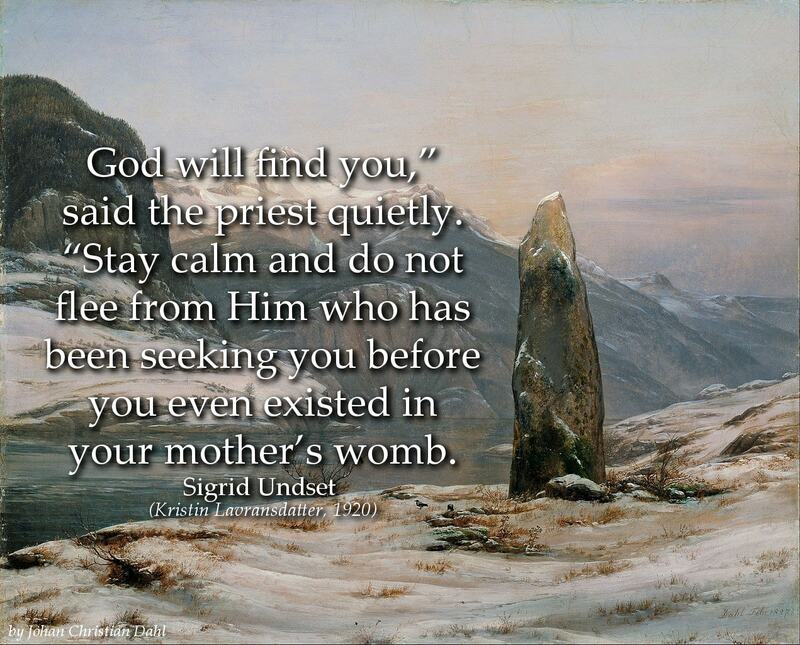 Sigrid Undset was a Norwegian novelist, best known for her historical novels such as Kristin Lavransdatter and The Master of Hestviken. 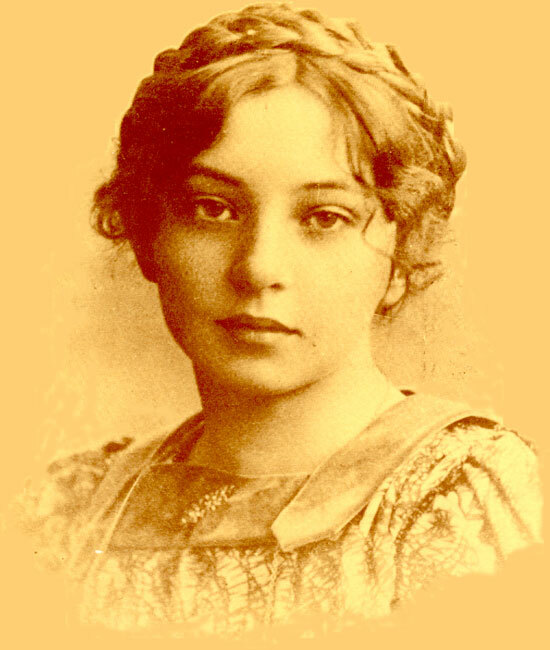 She won the Nobel-prize for Literature in 1928.